Which do you prefer? Which is the better option for you? I used to be a big cheek tint girl. I found it quite practical, affordable and hassle-free to travel with and apply. My favorites were from The Body Shop, Face Shop and Etude House...I think their shades matched my skin complexion the best. Anyway, that being said...I was happy with these tints for a good many years until I discovered Laura Mercier's Creme Blush in Rosebud. What exactly made me a convert? Well first of all, it wasn't that hard to dig into my pockets to purchase it since it was quite affordable, around P800+ if I remember right. Second, it stays longer and third, the texture is dreamy and way easier to blend as you can see in the photo below. Tints usually leave a dark streak where you first apply them no matter how much you rub and blend. 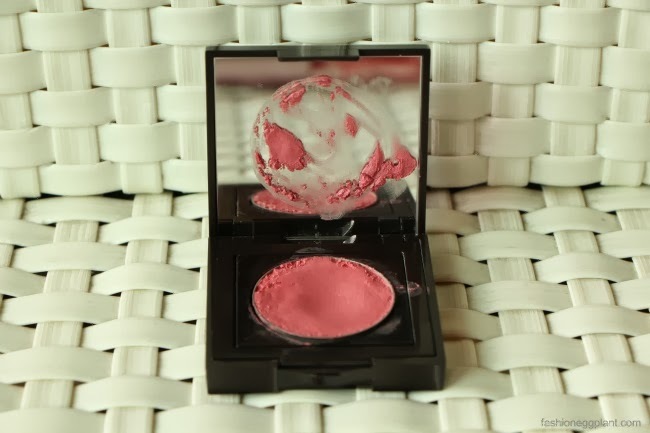 Laura Mercier's Creme Blush effortlessly applies into a very natural look...plus it stays on practically the whole day. And even if it doesn't, the small handy pack it comes in with a mirror fits easily into any pocket.